The Galapagos tortoise is only found on the Galapagos Islands in Ecuador. It is the largest living tortoise, and adults can weigh over 800 lbs and can reach up to 6 feet in length from head to tail. It is a very slow-moving reptile, moving only 0.16 miles per hour. Its shell is very large and made of bone. The shape of the shell varies according to subspecies: domed, saddle-backed, or somewhere in between. Adult tortoises can live over 150 years. The Galapagos tortoise is a herbivore, eating prickly pear cactus and fruits, bromeliads, water ferns, leaves, and grasses. They have tremendous water storage capacities which enables them to survive long dry seasons. Mating occurs generally during the rainy season (from January to April) and nesting from June to December. The female lays between two to 15 eggs after digging and burying them in a hole. She then leaves the eggs and they hatch after four to eight months. It takes the baby tortoises about a month to dig themselves out of the nest. Today there are only around 15,000 Galapagos tortoises left in the wild. The main cause of decline is hunting by humans. During the nineteenth century, explorers, pirates, and whalers valued the Galapagos tortoise as a source of food, oil, and fat. 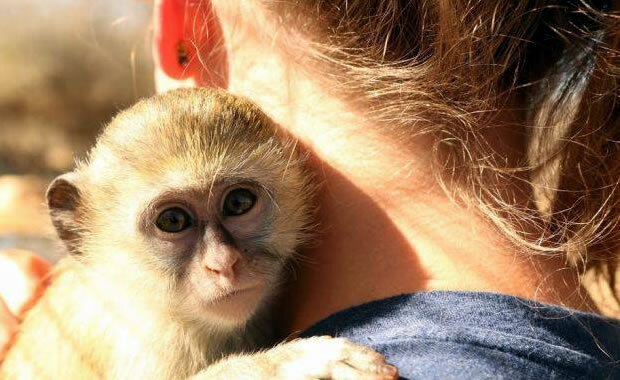 The species is now protected today, but there are still other threats such as occasional poaching and predation of eggs, hatchlings and even juveniles by introduced species such as dogs and pigs. Also, goats compete with the tortoise for food, and donkeys have been known to destroy eggs by trampling over them in nesting areas. A research center was created on Santa Cruz Island, the Charles Darwin Research Center, to help control the predator population using methods like placing the tortoises in predator-proof rearing pens. Copyright Notice: This article is licensed under the GNU Free Documentation License. It uses material from the Wikipedia article "Galápagos tortoise". Glenn, C. R. 2006. 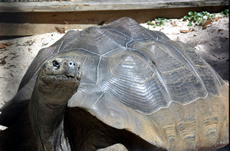 "Earth's Endangered Creatures - Galapagos Tortoise Facts" (Online). Accessed 4/23/2019 at http://earthsendangered.com/profile.asp?sp=463&ID=11. Need more Galapagos Tortoise facts?